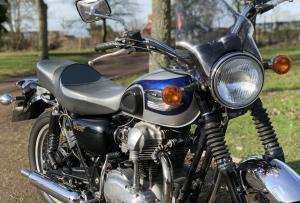 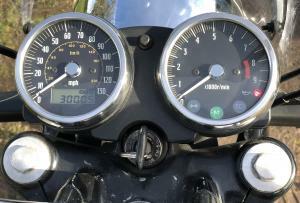 Kawasaki W650 2001 . 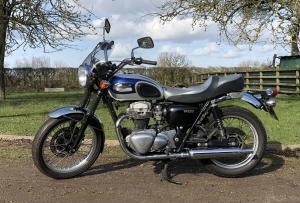 We All Know How Sweet And Reliable These Are ! 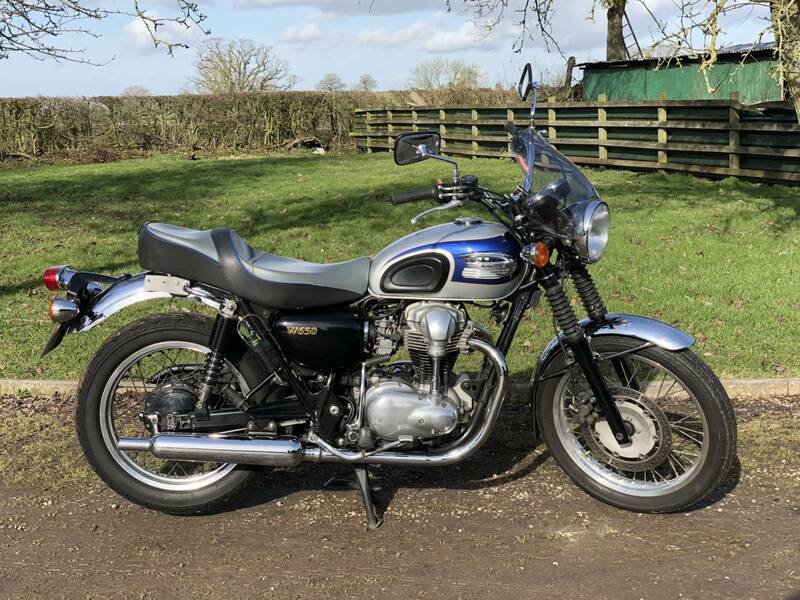 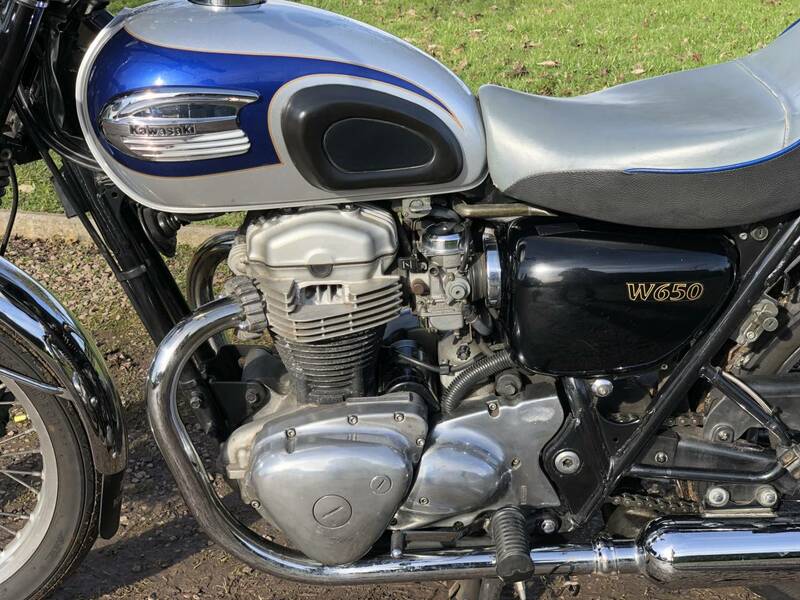 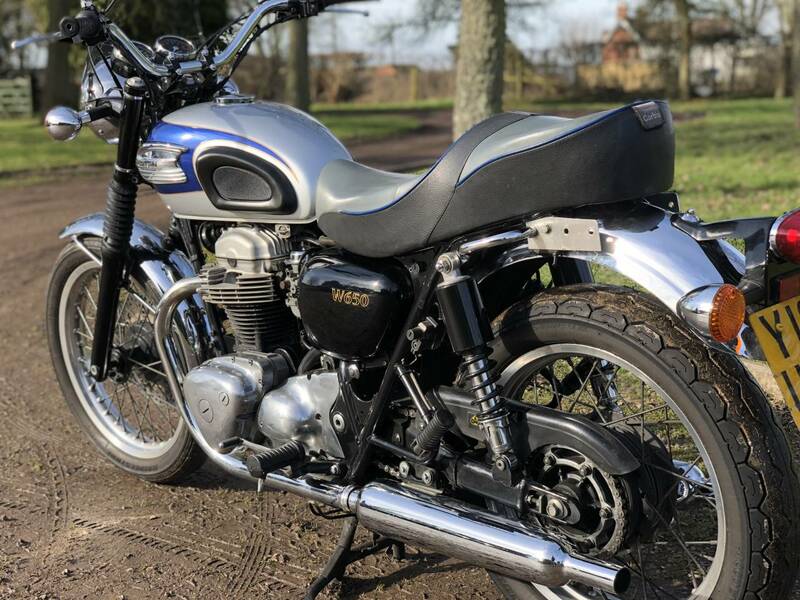 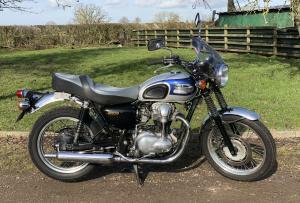 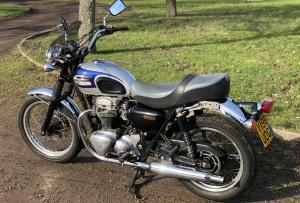 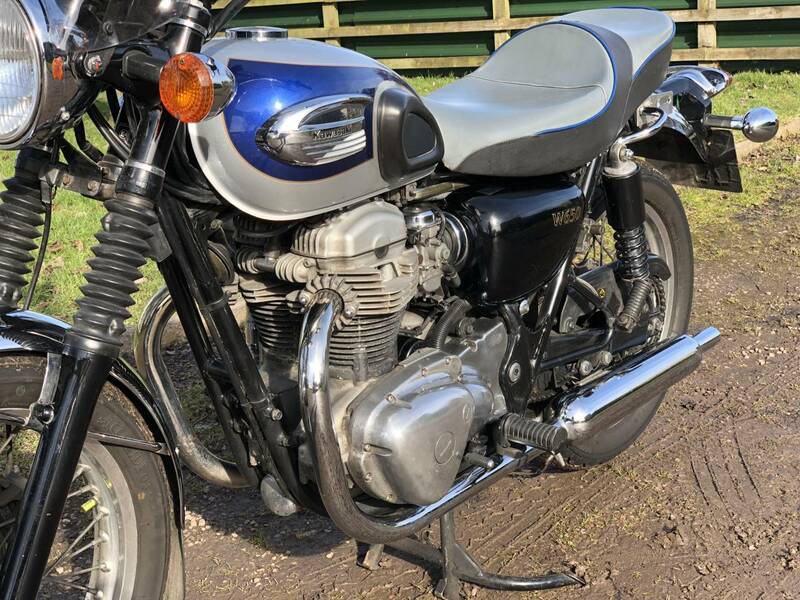 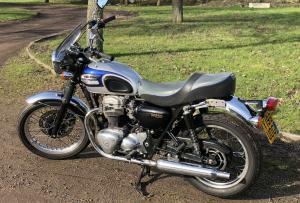 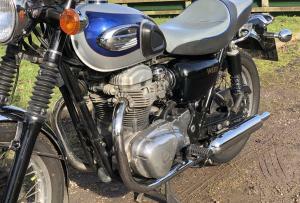 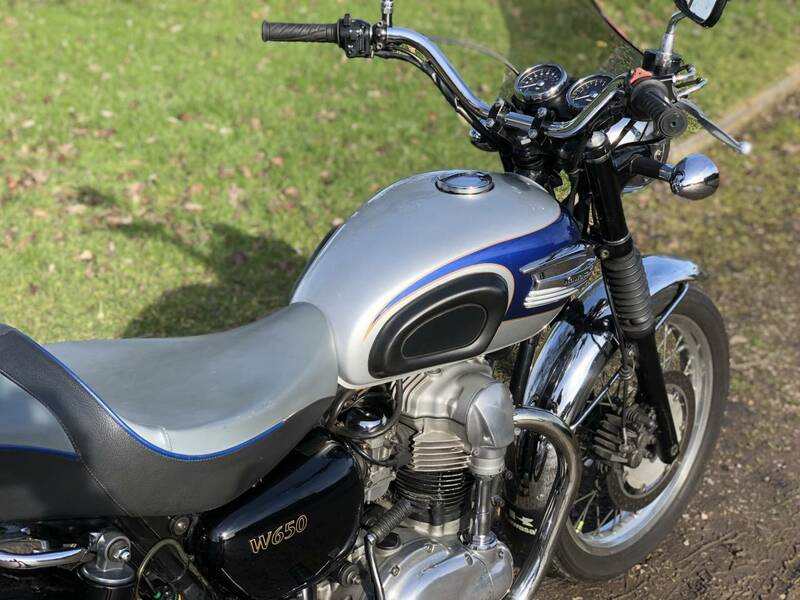 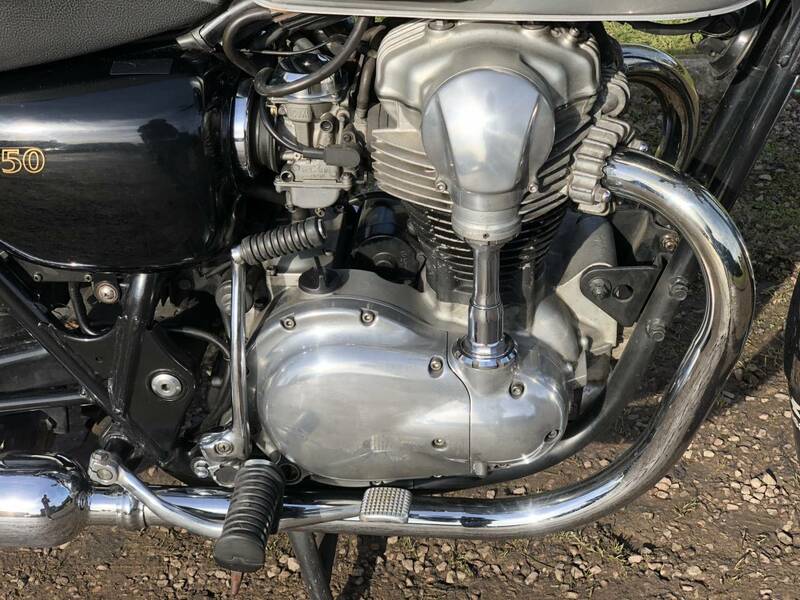 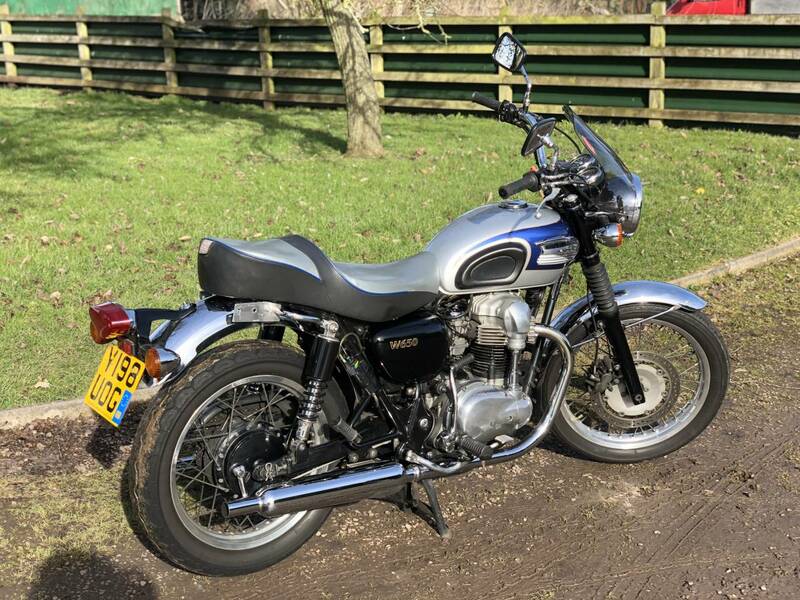 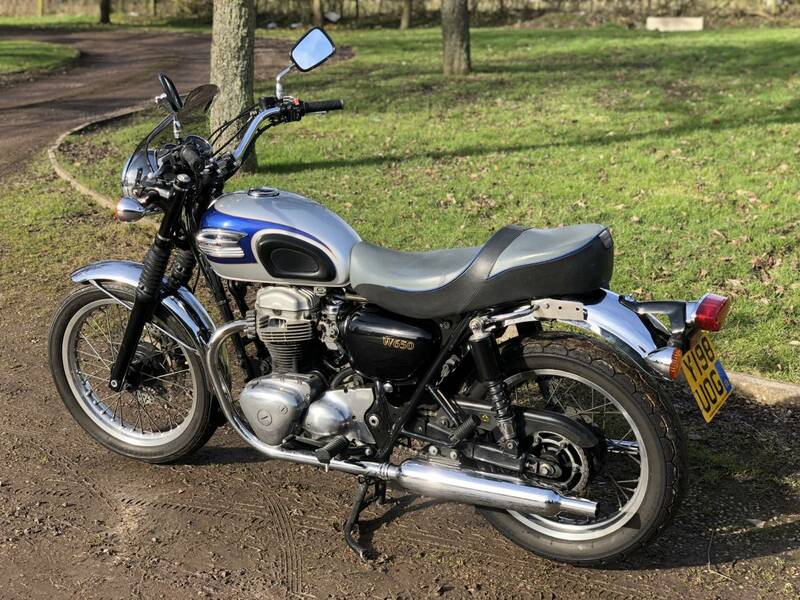 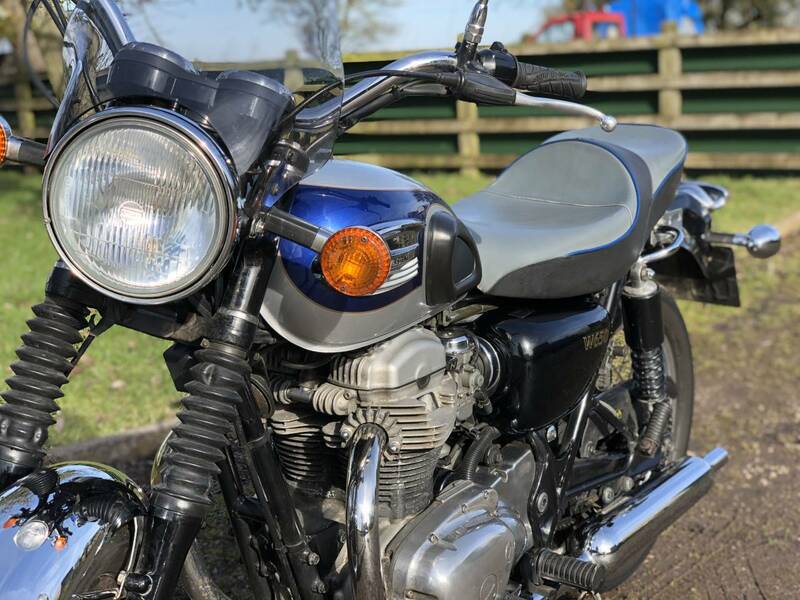 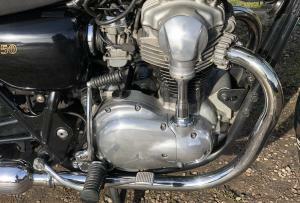 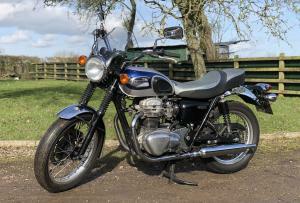 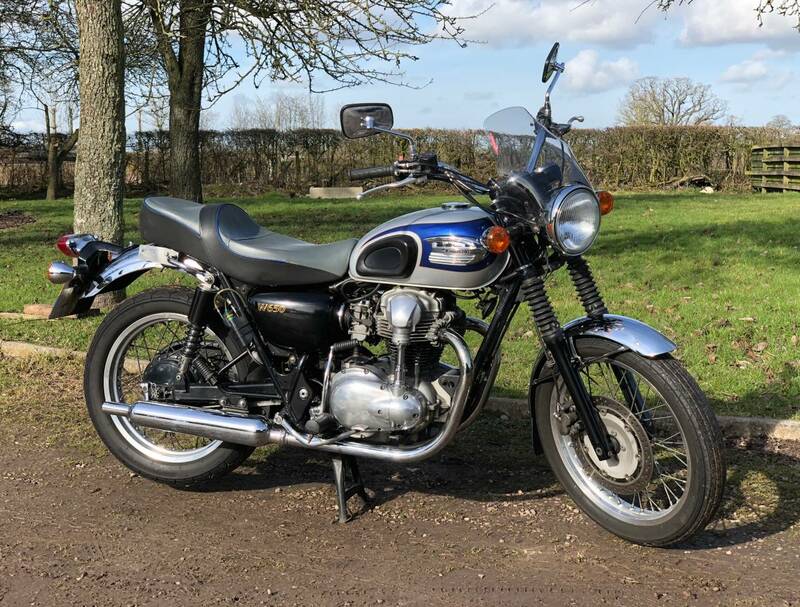 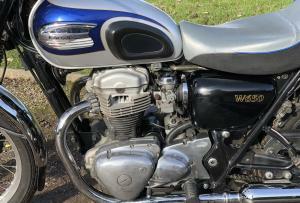 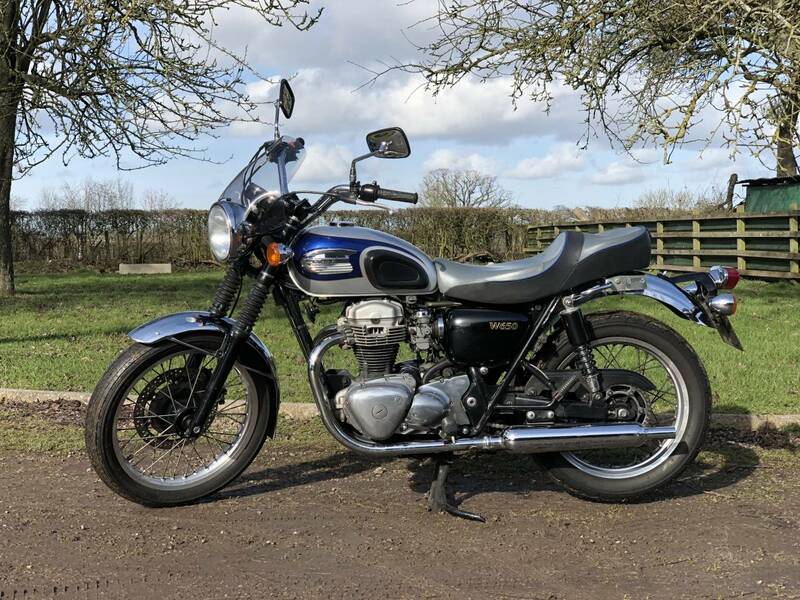 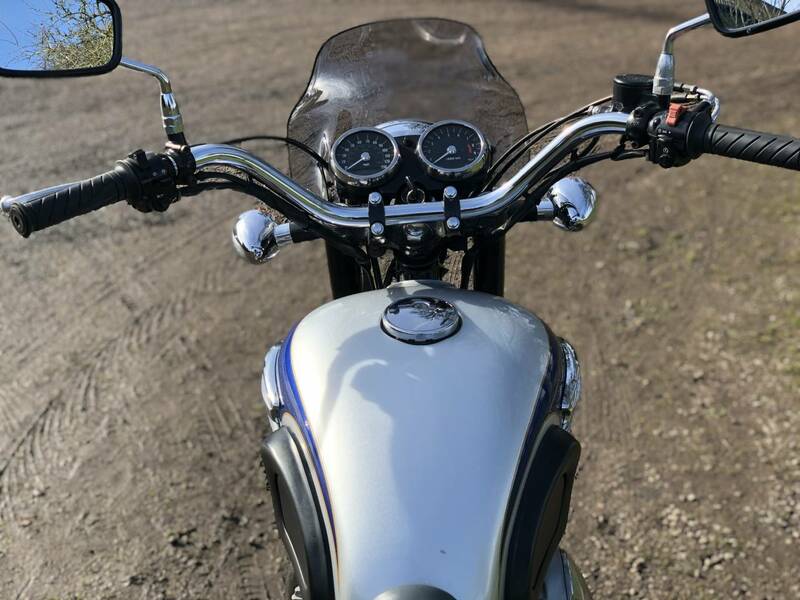 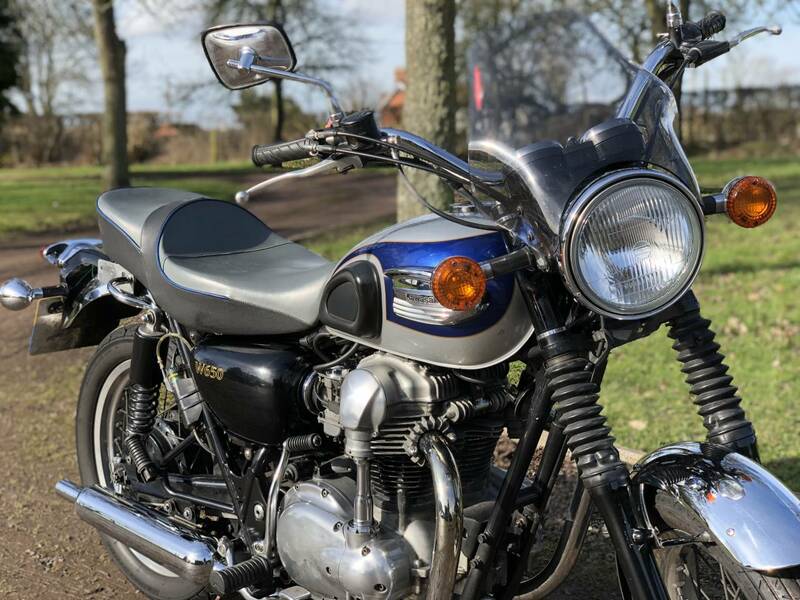 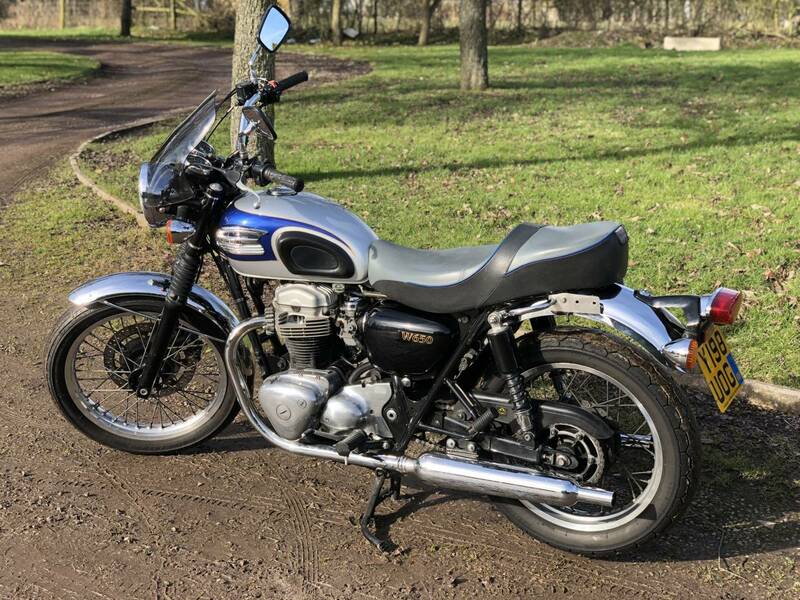 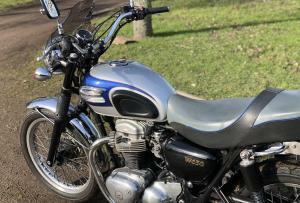 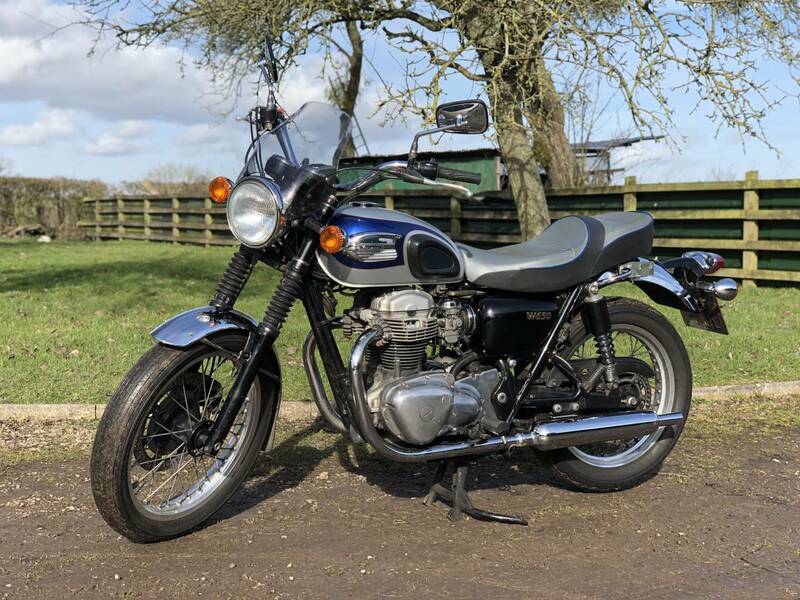 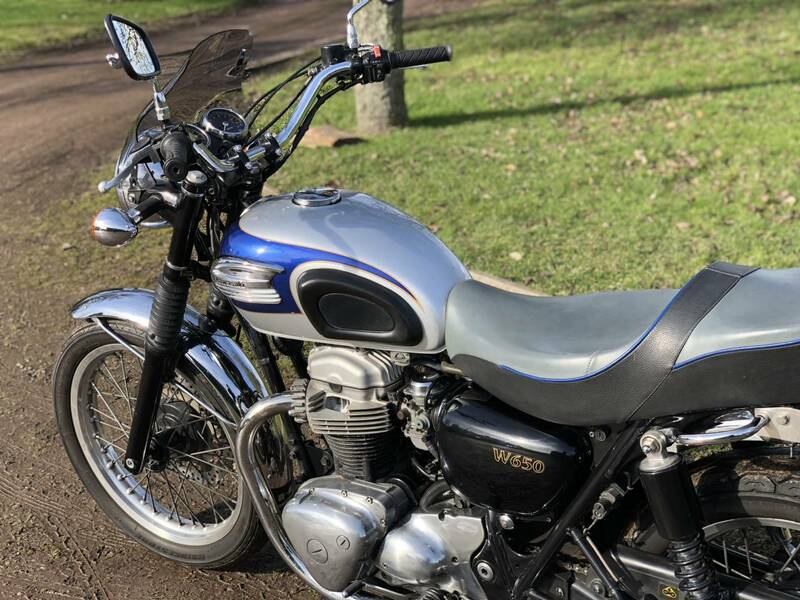 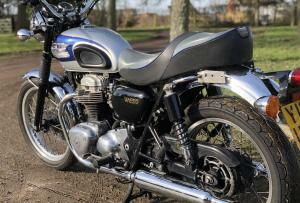 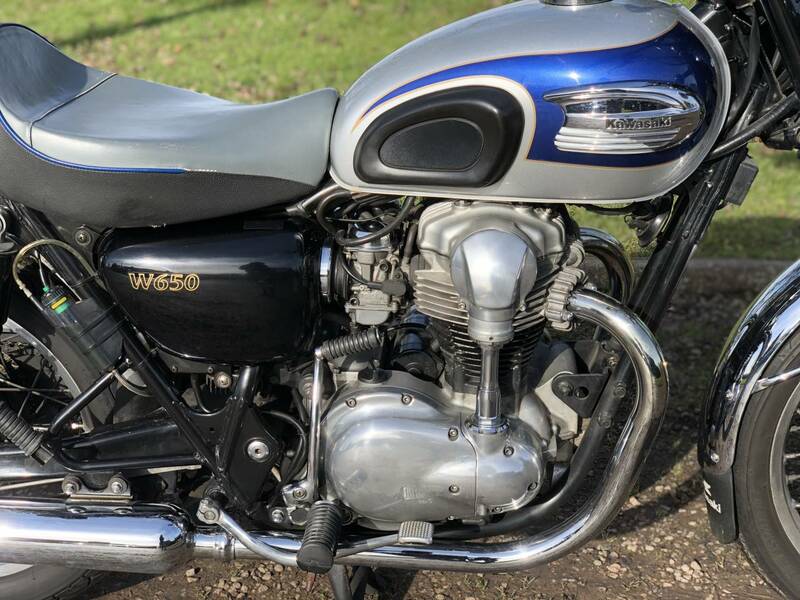 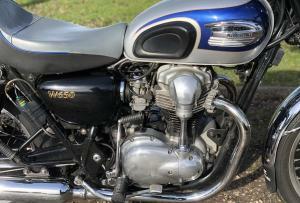 This Attractive Example Has Come In A Part Exchange Deal Against A Lovely Triumph T100SS, We Sold To Very Happy Customer . 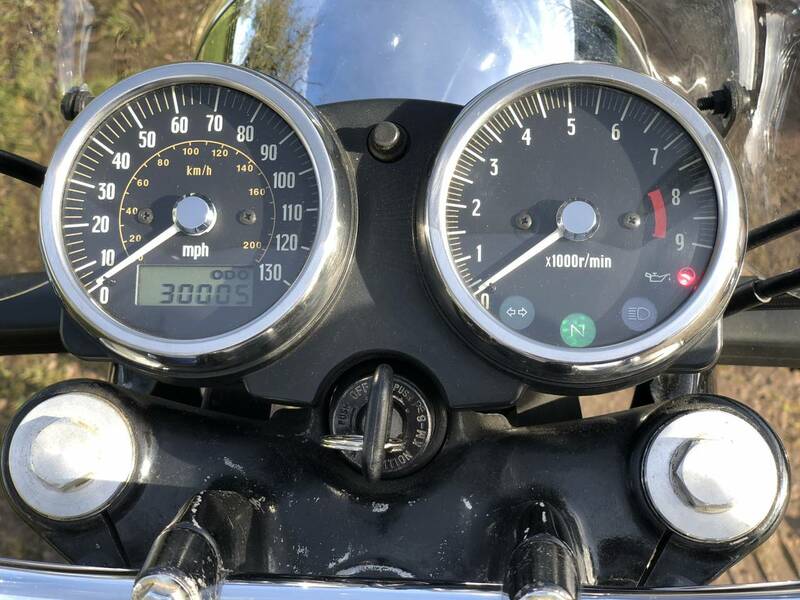 Very Attractive In Metallic Blue And Silver , Regularly Serviced By The Elderly Last Owner ( Last Done 200 Miles Ago ) Showing 30k Miles ; Which Is Nothing For A Well Looked After One . 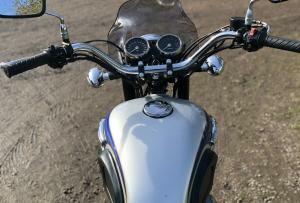 Starts On The Button , Runs Sweet And Looks Good. 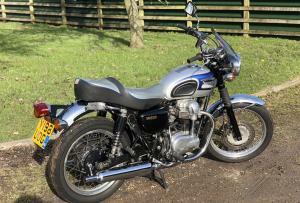 Will Be Sold With A Fresh Mot ( just passed ; no advisories ! ) 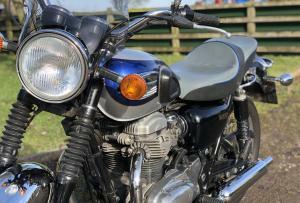 And The Original Seat , As Has An Expensive Corbin Fitted . 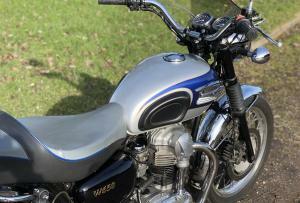 Fitted With A Small Screen , For Some Weather Protection , Chain Oiler And 2 Brackets On The Back , By The Rear Seat ( Easily Removed ) For Van Or Trailer Transport.